Nevada residents do not only need to be prepared to provide for family members when they pass away. They also need to prepare for someone to take care of their health and financial decisions if they are no longer able to do so. Estate planning is not just to prepare for the disposition of property after death — it is also to prepare for incapacity. The main documents required to give another person or persons the right to make financial and health care decisions on a person’s behalf are powers of attorney. These documents can provide as broad or as specific powers as the individual is comfortable with giving to the agent or agents. Medical directives can help a health care proxy make decisions that the incapacitated individual would have wanted. However, there is no substitute for having a conversation with the person who is to be appointed in order to make his or her wishes clear. Financial powers of attorney can allow the agent to simply pay bills if that is what the individual is comfortable with doing. However, the agent could be given broad discretion to manage all of the person’s property and money on behalf of the incapacitated person — including the sale of real estate and other assets as needed in order to provide for him or her. It is not necessary for the same individual to be appointed in both types of powers of attorney. Therefore, Nevada residents should take all of the time they need to choose the person or persons they believe will best represent their interests. This also includes choosing a trustee if the person’s wishes and goals would best be served by using one. 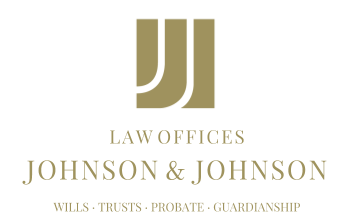 Estate planning can be tailored to meet an individual’s needs — whether after death or during incapacity.